Admission to UNC Asheville is competitive. 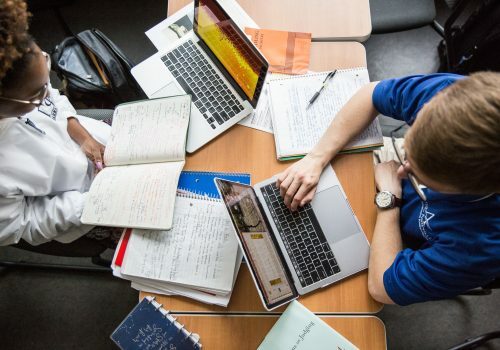 Academic portfolio materials, including high school curriculum, performance and standardized test results, are among the most important components to any admission decision. However, discovering the unique characteristics of all our applicants is what makes UNC Asheville different. That’s why our application review process is comprehensive. Your test scores and GPA are an important part of your story, but tell us about your successes, challenges, interests and goals—everything else that makes you who you are. Additionally, if you wish to be considered for NC residency, complete the Residency Determination Service prior to submitting your application to insure a timely and efficient application process. Other Students – Please see the Other Students webpage. UNC Asheville’s Master of Liberal Arts and Sciences Program is an interdisciplinary, part-time course of study for college graduates who are interested in broad-based learning at the master’s degree level.